Every big cricketing nation now has a T20 league. Following on from the success of the IPL, administrators have seen an opportunity and run with it. 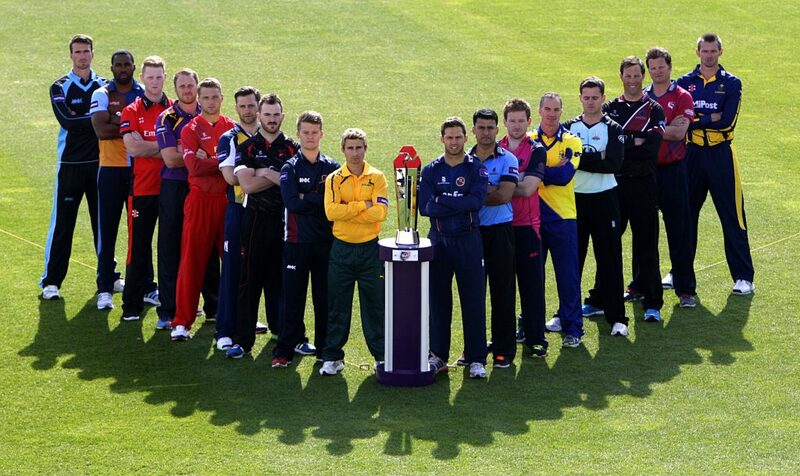 England’s T20 Blast is becoming one of the top tournaments in world cricket. There is a reason for that, as it has evolved into an adrenaline-fueled circus. Today, we take a look at five of the most memorable encounters in the league’s history. T20 is famous for massive heaves for six and audacious reverse sweeps that clear the boundary. Making huge scores and blowing the opposition out the water with explosive hitting is the norm. Every now and again you get a low-scoring thriller that is as heart pounding. Gloucestershire proved that when they defended 138 against Kent. When a team scores 138 after 20 overs it is safe to assume they are on their way to a proper thumping. You could send out Geoffrey Boycott and Sunil Gavaskar to chase it down and they would win with 5 overs to spare. In defending 138, Gloucestershire proved that good cricket is still at the forefront of winning T20 games. Miserly bowling and a Jonty Rhodes type effort in the field meant all Kent could muster was 130. Sri-Lankan spinner Perera weaved his magic with a tidy 3-31. Picking the most entertaining games of any T20 league wouldn’t be complete without a Shahid Afridi mention. The former Pakistan player now turned T20 journeymen was at his dismissive best for Hampshire. No matter how ‘Boom Boom’ gets on, one thing is always certain, he will go down in a blaze of glory. In the quarter-final against Derbyshire, Afridi played with his usual reckless abandon. Slapping balls off the toe of the bat and top edging for six, the Derbyshire bowlers didn’t have a clue. In 42 balls, Afridi notched up a 100 and the fastest in the 2017 T20 Blast at the time. It was a slog-fest that showed how one individual can win a game in T20 cricket. Afridi’s heroics saw Derbyshire exit the competition after a horribly timed chase. They eventually crumbled to 148 and lost by 101 runs — the exact amount Afridi made. Witnessing a thrilling run chase is one of the remaining joys in life for cricket fans. When the 2017 T20 Blast got underway, it was Essex vs Surrey to battle it out. Aaron Finch got Surrey off to a flyer and produced the big-hitting he is world renowned for. Finch’s 56 off 24 set the tone for Dom Sibley to finish the innings off. Sibley scored 61 off 40 balls as Surrey posted 188-8. The County Cricket Ground is small and the wicket that night was flatter than the M25. Essex knew they were in with a good chance of getting to the total set by Surrey. That was backed up when Ravi Bopara went on a rampage, scoring 75 off 46 balls. Anything in Bopara’s arc was going out the park that night. With ten runs needed off the final over, Bopara lined Tom Curran up. Curran bowled it full and straight with the seam up, which was enough to castle Bopara. He then removed Zaidi with a ball out the back of the hand that crashed into the stumps. Surrey would win by two runs as the County Cricket Ground fell silent. It was a masterclass by Curran and, like Nasser Hussein says, “he’s got something about him this lad”. With Curran’s cunning seam, it’s easy to see why Surrey are one of the favourites in cricket betting for the T20 Blast. You can’t put a price on the skill a bowler like Curran has. The international fast bowlers union will take great pleasure in seeing Curran bowl, purely because he makes batsmen look very silly in a game suited to them. Surrey’s Gareth Batty celebrates taking the wicket of Essex’s Tom Westley during the NatWest T20 Blast match at The Oval, London. Chasing down over 200 in a T20 game is far from easy. It can, however, take away any fear and give a team a licence to thrill. That is exactly the type of attitude Birmingham adopted after Surrey made 204/5 in their 20 overs. Birmingham came out like a boxer who had been pummelled, was behind on the scorecard and needed a knockout. It would be the two New Zealanders in Grant Elliot and Colin de Grandhomme that led the counter-punching. Some ruthless batting at the back end of their innings put Surrey on the ropes. Surrey needed the contest to stop before Birmingham were able to land the killer blow. It came in the 20th over when de Grandhomme clipped a full toss off his hips to the boundary. Surrey were on the canvas after Birmingham’s all or nothing approach paid off. They had won the game with four balls to spare. The Bears will be hoping for more this season after losing out to Nottinghamshire in the final. There was no shame in that. Nottinghamshire are a quality outfit who are the favourites to win the T20 Blast final again. No record was safe on the night Yorkshire played Northants at Headingley. The entire game could have been mistaken for a highlights package. It would be hard to believe no one was injured in the crowd that night. Adam Lyth wouldn’t have been anyone’s first pick for an opening batsman in a dream team. Lyth is a fine player but was thought to lack the size and power needed in T20 cricket. Never again will anyone think that of the Yorkshire batsman. In a brutal display of batting, Lyth smashed 161 off 73 balls. Only two men have a higher score in domestic T20 cricket and they are Chris Gayle and Hamilton Masakadza. Lyth’s superhuman effort got Yorkshire to 260 runs in 20 overs. Reading that sentence back is enough to make the cricket traditionalists faint. It ranks as the third highest T20 team score ever to be recorded. It does make you wonder just what sorcery could have gone on in the other games to eclipse this effort.